Highland Hideaway Hunting has been offering quality upland hunting experiences for nearly 20 years and we are ready to welcome you to the club. We are located in southeast Iowa (Riverside), with over 1,500 acres of meticulously managed and maintained preserve hunting land available for you to hunt. 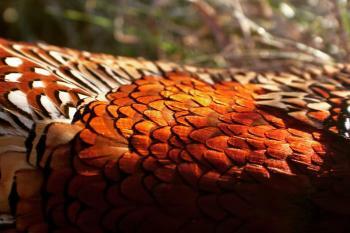 You can look forward to plenty of high quality, hard flying pheasant and chukar that fly and hunt naturally. From April-October we operate a sporting clay and 5-stand range to advance your shooting skills in the off-season. Also on site, we have a full service lodge that sleeps up to 16 people, has a full kitchen, and home cooked meals are available upon request. If you need more room for more guests, we partnered with our neighbor who has room for another 10 people on a beautiful 32 acre farm less than a mile away. Lodging at Highland Hideaway is also available for rentals, such as private events, birthdays, class reunions, weddings, corporate and charity events.